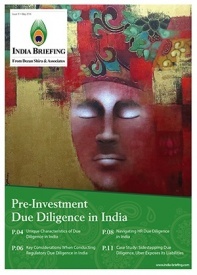 Protecting and managing intellectual property rights (IPR) is the first step for any business seeking to establish its presence in India, and must be incorporated as an integral part of the business asset growth strategy. Having a distinguished intellectual property can set your business apart from competitors, and become an essential part of your marketing. An intellectual property can also be sold or licensed to generate revenues for you or your business. In India, there are different types of intellectual property, which are protected under separate laws. As a result, registering intellectual property involves navigating complex legalities and submitting numerous documents. This requires expertise and familiarity with procedural norms to ensure fast and effective registration. In this article, we provide a brief overview of the IPR system in India and enumerate its component laws and basic procedures for registration. A patent is a legal right that confers monopoly to a person for his/her invention. According to the Patents Act, 1970, an ‘invention’ must fulfill three criteria: first, it must be a new product or a process that did not previously exist; second, it must offer a new technical improvement as simple changes to a previously known technique cannot be patented; third, the proposed invention must be useful. For instance, a patent cannot be granted for inventions that can only be used for an illegal or immoral purpose. Once a product or process is patented, it cannot be commercially produced, distributed, used, or sold without the consent of the patent owner. 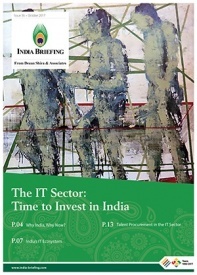 India grants patent rights on a first-to-apply basis. The application for a patent can be made by either: (i) the inventor or (ii) the assignee or legal representative of the inventor. Patent application may also be made jointly by two or more corporations as assignees. A foreign national resident can also apply and obtain a patent in India. File the patent application and get it numbered. Request for publication by filing a form. If the request is not made, the patent specification will be published in the official journal after 18 months from the application date. On the other hand, by making request, patent specification can be published within one month from filing the form. Request for examination within 48 months from the date of filing of the patent application. Request for expedited examination of patent application can be made by paying extra fee. Within 12 – 24 months of filing a request for examination, the first examination report is issued. This report may raise substantive and procedural objections regarding the patent. If objections are raised, the patent applicant must comply with the statement of objections within six months from the date of the report. If the official objections are met in due period, the patent is granted and presented for opposition. The patent is open for third party opposition, if any, for a period of one year from the date of advertisement. A patent once granted is valid for 20 years, and requires renewal every year from the third year of the date of application. For a business, its trademark is among its most valuable assets. The company’s trademark protects its distinctive sign or indicator. This may be a symbol, logo, word, phrase, name, sound, design or an image that symbolizes the brand value or goodwill associated with the business or its product and services. In India, trademarks are registered under the federal registration system with the support of five regional offices: Ahmedabad, Chennai, Delhi, Kolkata, and Mumbai. The Trade Mark Act of 1999 provides trademark rules for the registration, regulation, and protection of trademarks in India. DIPP recently revamped old trademark rules for registering trademarks in India. Conduct a trademark search. To identify a completely original trademark you may refer to the national trademark database online. File the application for trademark registration along with the prescribed fees. Once the mark is registered, the Trade Marks Registry sends the “Official Examination Report” asking for clarifications, if any, in accordance with the Trade Marks Act. 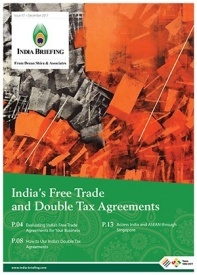 After the application is accepted, it is published in the ‘Trade Marks Journal’, a government publication to call upon opposition from the general public, if any. If the application is not opposed within four months, then the registration is granted. In case of opposition, registration is granted only after the case is resolved. After all due consideration is met, an official letter intimating the acceptance of the application along with the trademark certificate is issued by the Trade Marks Registry. The whole process takes about 15 to 18 months. The trademark is valid for ten years starting from the date of issuance of the certificate. It can be renewed for another 10 years on the payment of the prescribed fees. India has a very strong and comprehensive copyright law based on the Indian Copyright Act of 1957. 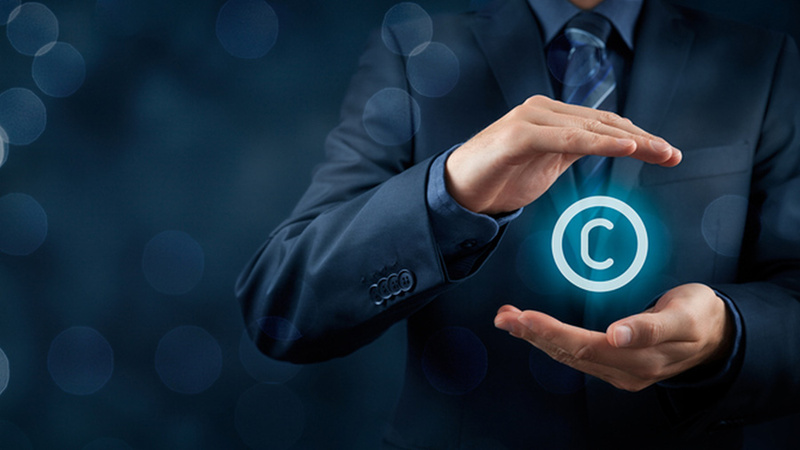 The copyright law is fully compatible with international norms like the Berne Convention, Trade Related Aspects of Intellectual Property Rights (TRIPS) Agreement, and the World Intellectual Property Organisation (WIPO) Copyright Treaty (WCT). A copyright grants the exclusive right to the creator to control re-production or adaptation of his/her work for a certain period of time. Unlike trademarks and patents, a copyright protects the unique expression of ideas and not the idea itself. Further, copyright registration cannot be obtained for titles or names, short word combinations, slogans, short phrases – as these can only be trademarked. Under the Indian Copyrights Act, a copyright exists in 1) original literary, dramatics, musical and artistic work, cinematograph films, and sound recordings; 2) literary works: novels, poems, short stories, books on any subject, computer programs, song lyrics; and 3) computer software. e) Translating it into other languages. Acquisition of copyright is does not require formal registration in India. However, it is advisable to obtain a certificate of registration of the copyright. The certificate and the entries made therein can serve as evidence in a court of law if a dispute relating to the ownership of copyright arises. File the application with complete details and copies of the work. Upon submitting the application, examination of the work takes place and objections, if any, are raised. A response regarding objection has to be filed within 30 days. The certificate is issued by the copyright office after the objections, if any, are removed to the satisfaction of the Copyright Registry. 1) The design should relate to the features of shape, configuration, pattern or ornament, composition of lines or colors or both, as applied to an article. An article may be two dimensional or three dimensional. 2) The industrial design should have been applied to the article by any industrial process. 3) The design must be new or original, not previously published, or used in any country prior to the date of filing for registration. 5) The design should not include any trademark or property mark or artistic works defined under the Indian Copyright Act, 1957. Submit the documents for registration: registration form and prescribed fee along with four copies of the representation of the design (33cm x 25cm for two-dimensional representation) depicting all features of the design from different views (such as front, back side, top, bottom, perspective, etc.). Submit the application to the Design wing of the patent office in Kolkata or any branch office of the patent office in Mumbai, Delhi, or Chennai. After the application is numbered, dated, and taken up for examination, defects, if any, will be communicated to you. The defects must be corrected within six months from the official date of application. If the controller is not satisfied with the correction, a personal hearing will take place, and the decision will be given in writing. If the applicant is not satisfied with the decision, they may appeal to the high court within three months of the decision. Once the application is accepted, it is notified in the patent office journal and is valid for a period of 10 years from the date of registration. The period may be extended by 5 years by filing an application for renewal along with the prescribed fee. A geographical indication (GI) is a tag used on products based on their geographical uniqueness. The uniqueness of a product is defined either by its origin, process, or availability. GI tags usually help businesses enhance their marketability. File application with the geographical indications registry. After acceptance, the application is advertised for opposition. After publication if the application is not opposed within three months (extendable for one month thereafter), then registration is granted. The registration of a geographical indication is valid for a period of 10 years. It can be renewed from time to time for a further period of 10 years each. We desire to obtain Start Up India recognition and tax exemption for our new project. We need a professional for the same. @SC Agrawal. Thank you for getting in touch with us. One of our service providers will be in touch with you shortly.